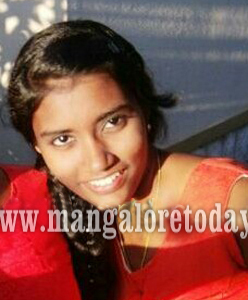 Udupi, June 18, 2017: Korangrapady resident Parikshith Shetty, the driver of the Swift D’Zire car which killed 17 year old college student Ashmita Suvarna, has been arrested by the police. The accident took place at Kinnimulki, when she was standing on the divider to cross the road. The speeding car bearing Delhi registration number had hit Ashmita grievously injuring her. Ashmita was a student of MGM College. Her eyes were donated as per her wish. So sad. The girl lost her life but by arresting him will the girl brought back top life .